Reading population stats in maps and graphs. 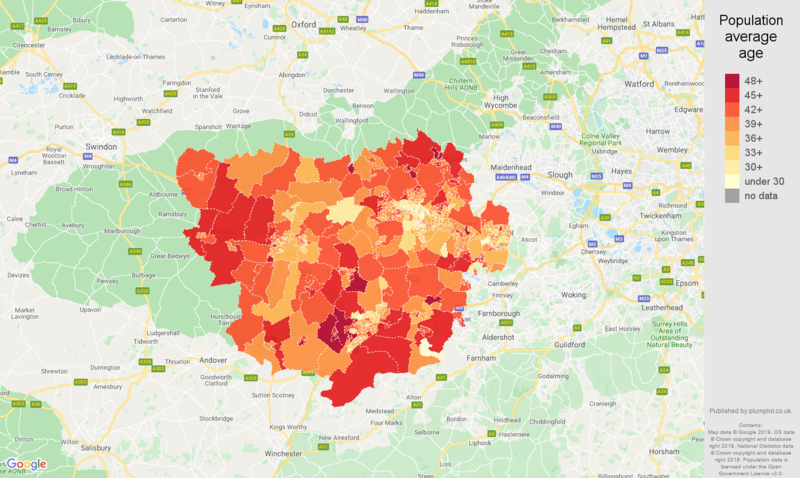 In 2017, there were 826k residents in Reading postcode area with an average age of 39.3 years. Population density was 432 residents per square kilometer. In England and Wales, the average age was 40. Based on Census, there were 2.48 residents per household in 2011.
shows a number of residents per square kilometer(km2), estimates from 2017. Population average age by LSOA (County) in 2017. Total population per year outlines headcount differences. by year. Figures are for deaths registered, rather than deaths occurring in each calendar year. It can take months for a death referred to a coroner to be registered. 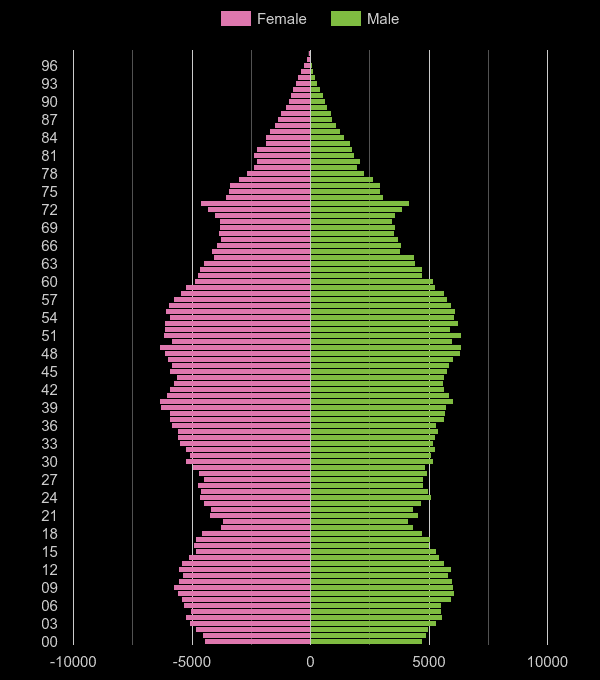 shows the distribution of various age groups in a population in 2017. Females are shown on the left, males are shown on the right. Ordered from the most to the least populous age group, 2017. Comparison of postcode areas average ages, 2017 population estimates. 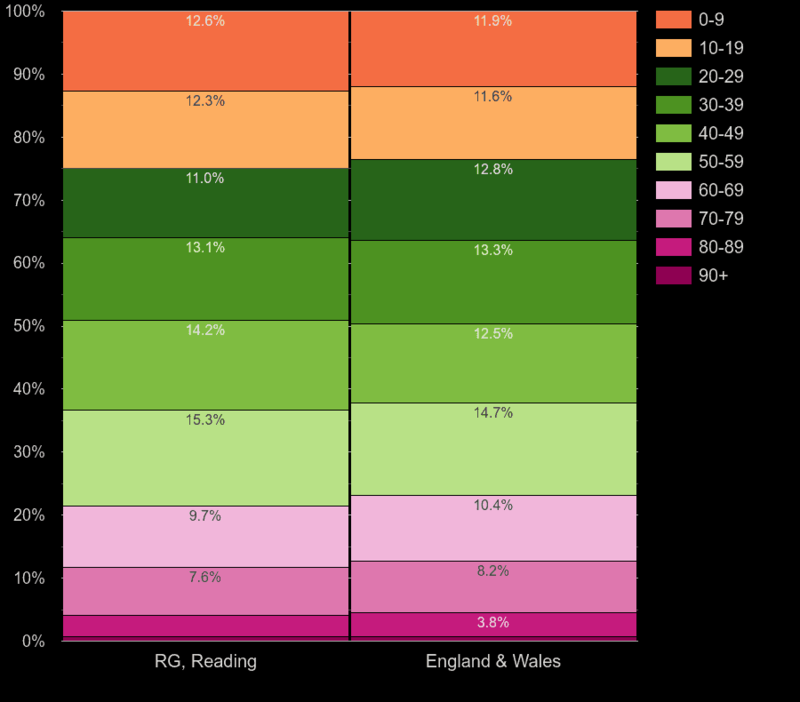 Annual area statistics of Reading's population average age compared to country statistics. Purple-colored areas are business or industrial areas. Green-colored areas provide quieter surroundings and better living. 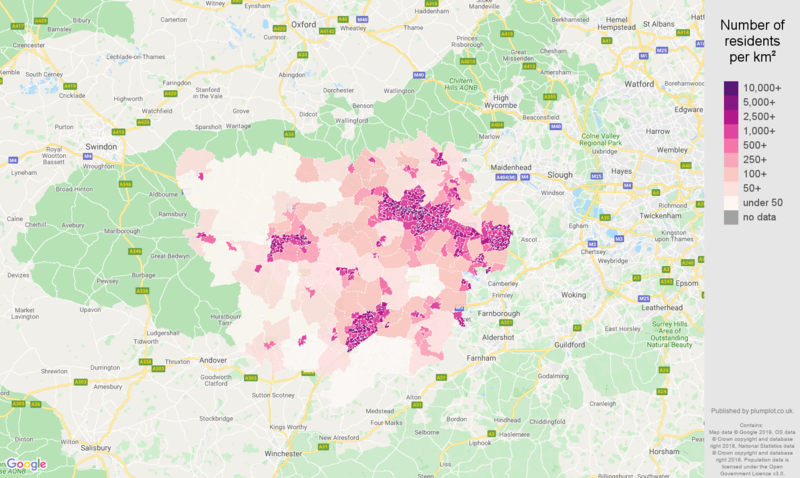 Map is based on a UK Census 2011 data. Colors calculated from the ratio of number of residents divided by a number of workday people. Contains public sector information licensed under the Open Government Licence v3.0., OS data © Crown copyright and database right 2017, National Statistics data © Crown copyright and database right 2017, National Statistics data © Crown copyright and database right 2012, Ordnance Survey data © Crown copyright and database right 2012, Postal Boundaries © GeoLytix copyright and database right 2012, Royal Mail data © Royal Mail copyright and database right 2012. Data sources: UK Census 2011, Population estimates 2002-2017.